Featured Review:The Wicked Deep by Shea Ernshaw! Hocus Pocus and Practical Magic meets the Salem Witch trials in this haunting story about three sisters on a quest for revenge—and how love may be the only thing powerful enough to stop them. Welcome to the cursed town of Sparrow… Where, two centuries ago, three sisters were sentenced to death for witchery. Stones were tied to their ankles and they were drowned in the deep waters surrounding the town. Now, for a brief time each summer, the sisters return, stealing the bodies of three weak-hearted girls so that they may seek their revenge, luring boys into the harbor and pulling them under. Like many locals, seventeen-year-old Penny Talbot has accepted the fate of the town. But this year, on the eve of the sisters’ return, a boy named Bo Carter arrives; unaware of the danger he has just stumbled into. Mistrust and lies spread quickly through the salty, rain-soaked streets. The townspeople turn against one another. Penny and Bo suspect each other of hiding secrets. And death comes swiftly to those who cannot resist the call of the sisters. But only Penny sees what others cannot. And she will be forced to choose: save Bo, or save herself. 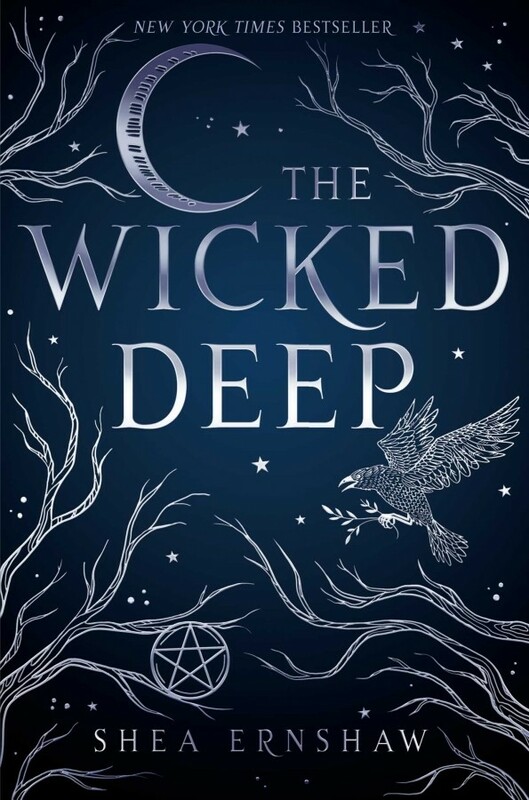 The promise of a novel filled with the essence of both Practical Magic and Hocus Pocus is fulfilled by reading Shea Ernshaw's debut novel, The Wicked Deep. Within these pages is a story filled with regret, revenge, lies, and most of all, love. And every bit of this summertime story is just as wicked and deep as the title assures. "Perhaps we all have some oddity, some strangeness we keep hidden along our edges, things we see the we can't explain, things we wish for, things we run from."